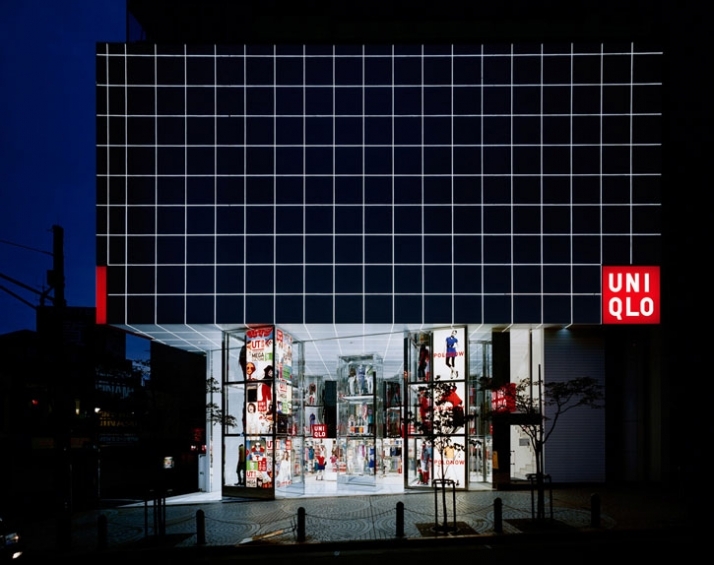 Tokyo based design studio, Curiosity has completed the design of the Uniqlo Megastore that has opened near Shinjuku station in Tokyo. 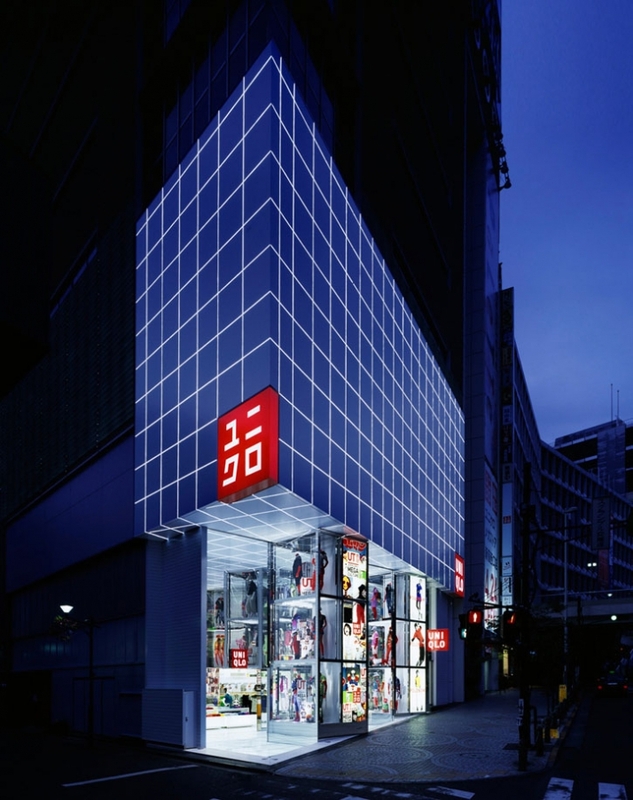 The new design is strongly influenced by the Tokyo urban landscape and the large entrance, marked with three display towers, recreates a mini-Shinjuku city. 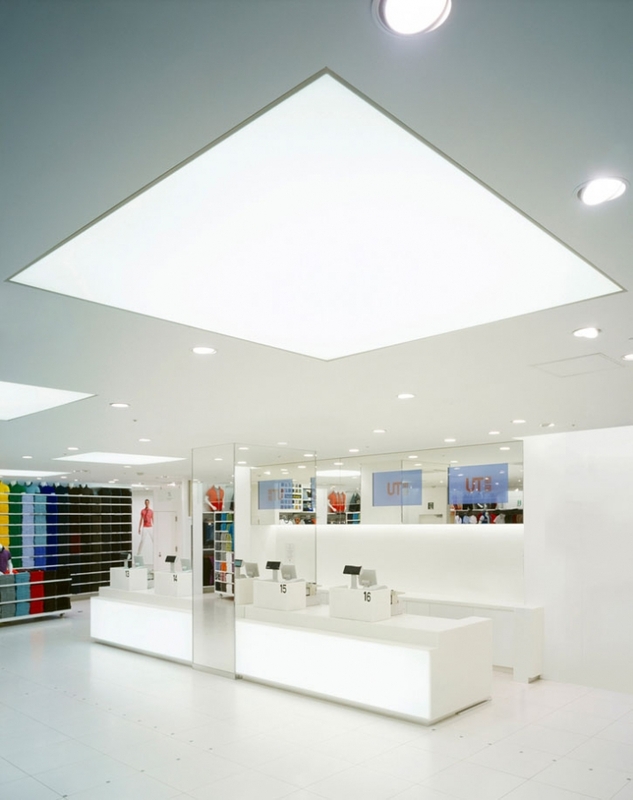 As the lighting floor wraps the towers in a glow of light that illuminates the surrounding streets, the shop becomes an active element of the street: attractive, reliable, and secure. 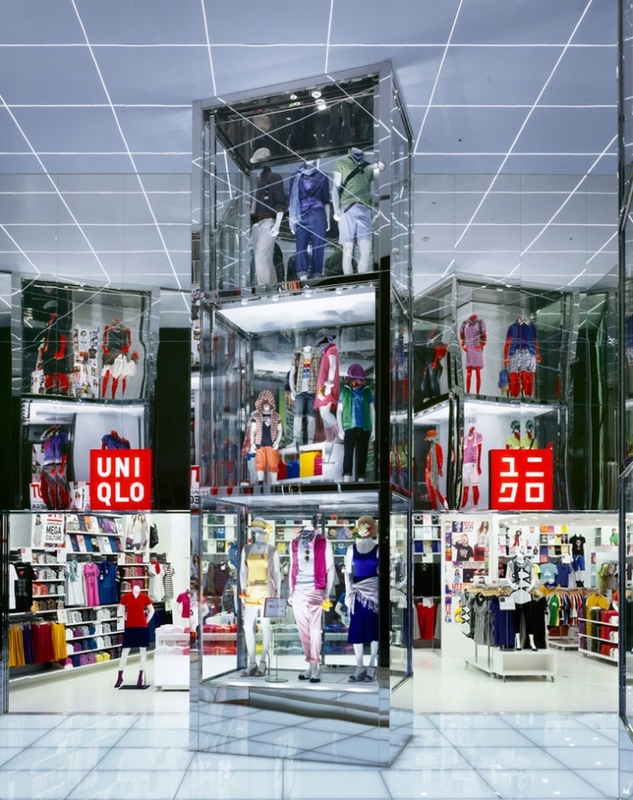 The new Uniqlo Megastore adds a civic dimension to its commercial purpose. 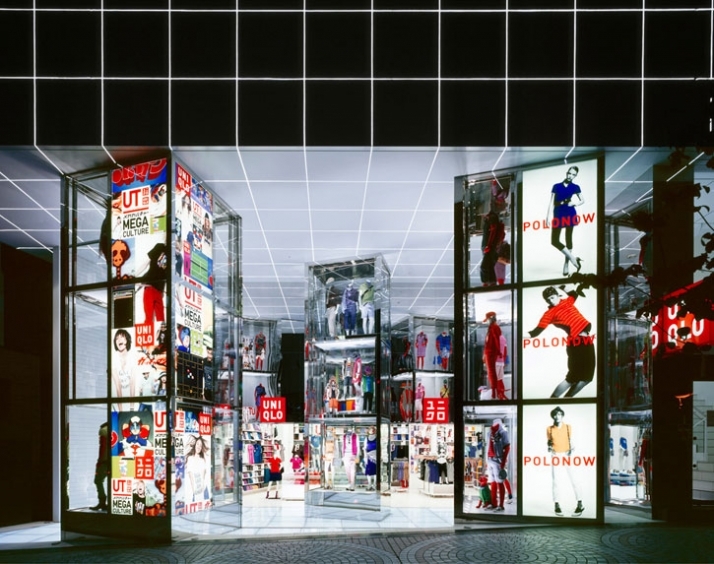 The challenge of the interior is for it not to 'exist'. Only the clothes should be visible. 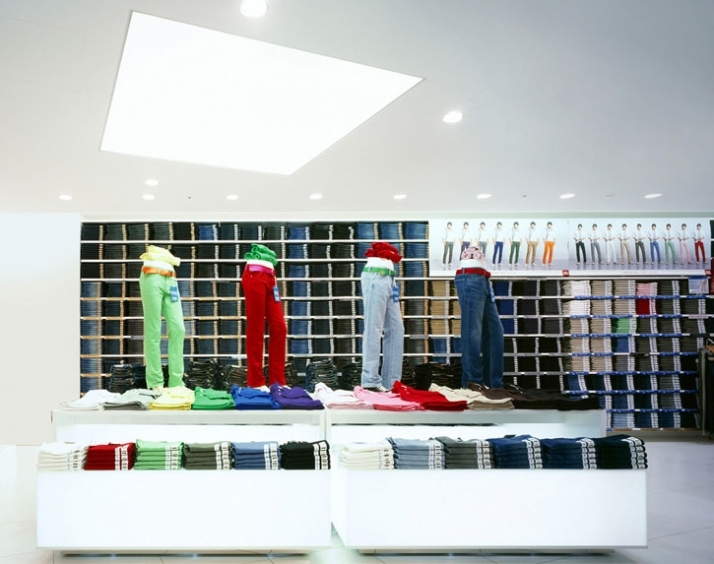 Display furniture is not only reduced to the minimum but also 'designed' to be non-existent with materials selected for their immateriality. 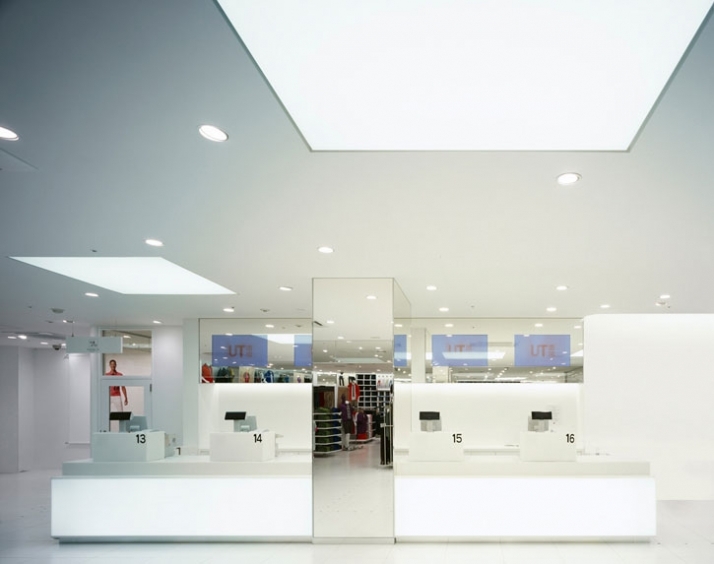 A lighting ceiling displays and counters work together to remove the shadows creating an abstract retail environment where products and customers seem to float in a white glow.